Happy Mother's Day to all of the SYD mothers. Enjoy your day while staying in the green zone. Yes, Happy Mother's Day to all the mothers. 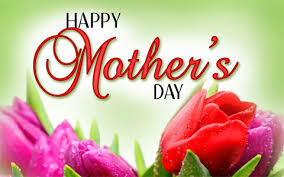 Happy Mother's Day to all those moms and those that have support as if they are our moms!